Here is the link for the MP3 of our meeting. This link will only be available for 1 week. But, I think that it may now be possible to download the MP3 of the meeting directly from the telephone conference line. This week we shared on our experiences of writing our 4th Step inventory. Then, we read and discussed the story in the AA Big Book Physician, Heal Thyself. It was a wonderful discussion! According to one site that I found online, the term refers to the extreme happiness or bliss of someone new to recovery. 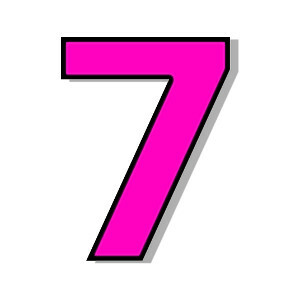 “Pink Seven” refers to having all the EMOTION and little of the correct ACTION for real recovery. The danger of the emotional elation associated with “Pink Seven” is that it can misguide a person into believing that they no longer need to work a program of recovery. The delusion of complete recovery is symptomatic of the “insanity” of our disease. The false feeling of being recovered paradoxically often leads to relapse and ultimately keeps us sick and suffering in our disease. The 12 Steps of recovery as outlined in the AA Big Book are a specific program of action. Although abstinence feels wonderful, recovery is not an emotional experience. As a group, we also shared our personal reflections on this story. Our homework this week is to spend a minimum of 10 minutes a day writing our 4th Step inventory, using the format of your choice. If you are using the Unofficial Guide, please follow instructions 1 and 2 and write your Grudge List. As a group, we will be individually writing our 4th Steps in addition to reading from the AA Big Book (63:4) on Step 4. The meeting assignments are outlined in the Unofficial Guide. For Step 5, we will read from the OA 12 & 12, the AA Big Book and from The Unpopular Guide to Step 5. If I am ever up at 530am on a Sunday I may join you! Please do! It is a dreadful time, but, it is one of the few guaranteed quiet times that I have.